You don’t by chance have one of those party lightbulbs laying around the house, do you? A blue one? 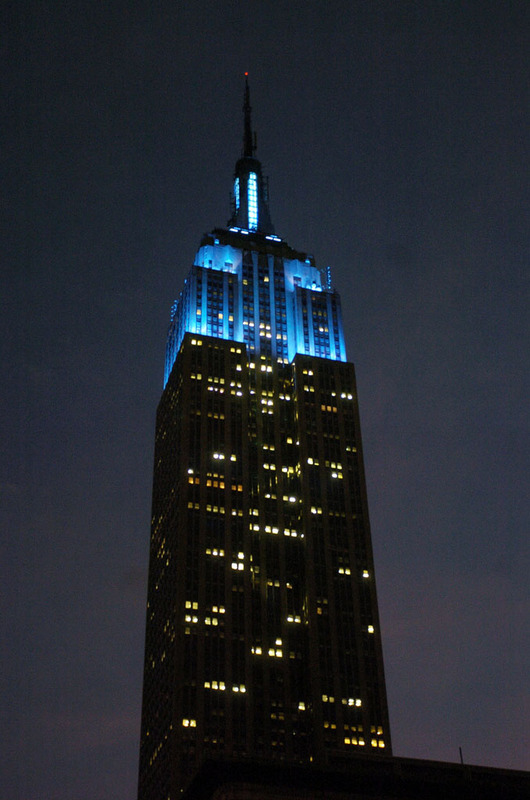 Pop it in a socket–like your porch light, for instance, and light it up blue–for World Autism Awareness Day. Rates of autism continue to rise, and it is figured one in 88 children in the US is on the autism spectrum. Today is the day (who are we kidding? EVERY day is the day) to focus attention on the issues of autism, treatment, and care. Put pressure on legislators to continue autism research (cuts are being made to so many important research programs), advocate on behalf of the cause (find out more here), support the cause by donating or walking an event, and lend your voice. The science is alarming, and the need for us to get involved in a tireless way has never been greater. Oh, and if you find a blue bulb and Light it Up Blue, your porch (or lamp) will be in good company—the Empire State Building, the Christ the Redeemer statue in Brazil, the Great Buddha in Japan, Rockefeller Center, the Sydney Opera House, Niagara Falls, Canton Tower in China, Kobe Port Tower in Japan, the Hungarian Parliament Building, the New York Stock Exchange, the CN Tower in Toronto, Bahrain’s World Trade Center, Saudi Arabia’s Al Faisaliyah Center, Cairo Tower, Mexico City’s Palacio de Bellas Artes, Paris Stock Exchange, and so many other monuments and landmarks are going indigo tonight–just like you.